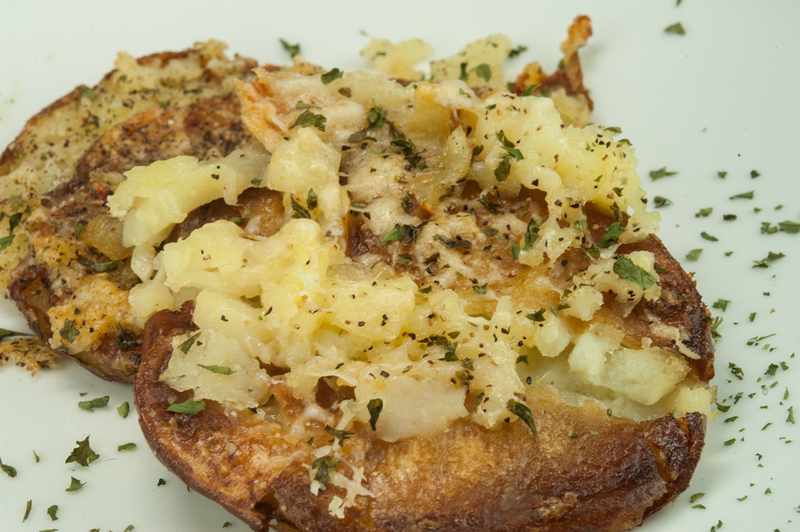 When you crave garlic….loads of garlic…these Garlic Smashed Potatoes are just the ticket! 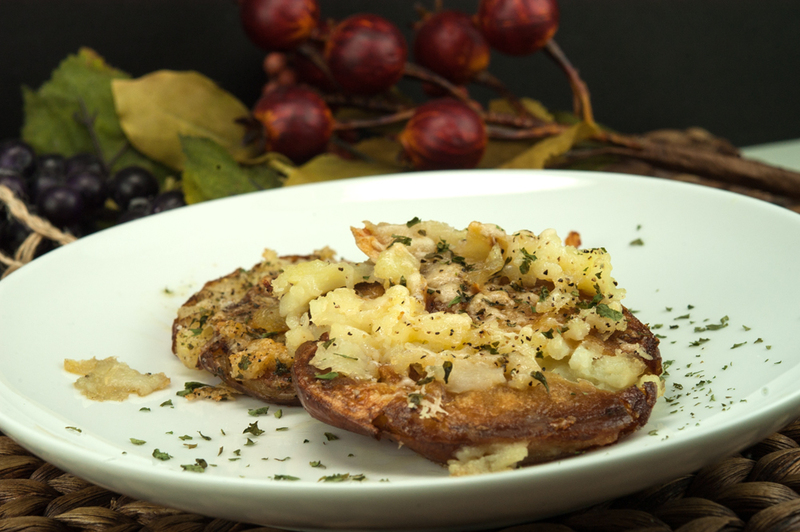 The creamy red potatoes baked with super crunchy browned edges, are drizzled with olive oil, Parmesan cheese, and you guessed it…garlic! You can put as much or as little as you desire…they’ll still be super comforting…super delicious! 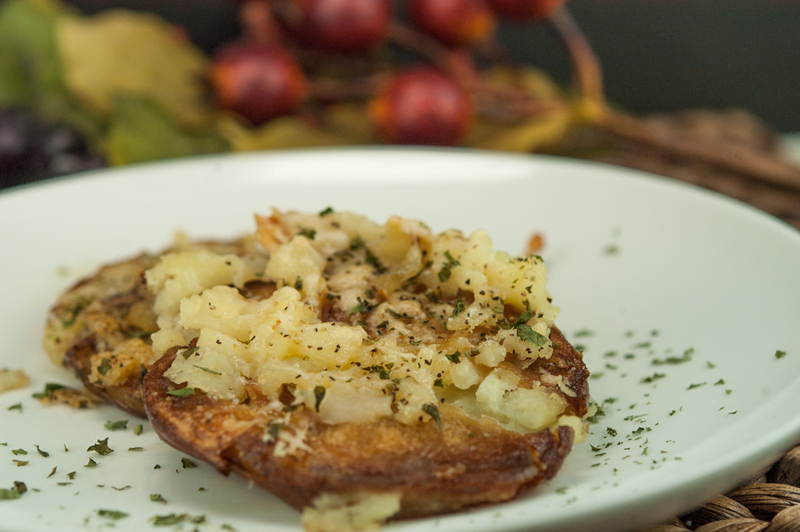 These are really easy to make, I put mine in the oven, went out in the pool for a swim, came back in, flipped them, put back in the oven, and….viola….super tasty, crispy, creamy in the center, roasted potatoes! I found these delicious gems on Pinterest from Dinner then Dessert, and am I glad I did! Heat oven to 425 degrees. 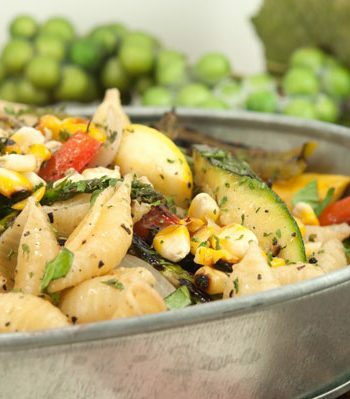 Drizzle sheet pan generously with three tablespoons of olive oil. Place potatoes cut side down on sheet pan. Using a potato masher, press down each potato until smashed but not completely flattened. (the more varied the top is, the more nooks and crannies that can brown in the second half of cooking). In a small bowl mix the garlic and Parmesan cheese then add them to the top of the potatoes. Add salt and fresh cracked black pepper to taste.